The Ohio Development Services Agency provided developers and historic preservationists around the state with an early Christmas present when they announced 18 projects that would receive Ohio Historic Preservation Tax Credits. In total, the tax credits are worth $22.8 million and are expected to spur $225.6 million in private investment. In recent years southwest Ohio had fared extremely well in the competitive bid process for the funds, and this round proved to be much of the same. This group of winning applicants includes five from Cincinnati, one from Hamilton, and two from the Dayton area. One of the Dayton projects was the winner of one of the state’s two prestigious $5 million awards. That money will go toward the $46 million United Brethren Building project in downtown Dayton, which will transform the long-vacant, 112-year-old building into 164 apartments. While the Cincinnati-region had the most number of awarded projects, most of the tax credits were small in size. Four projects, three located in Over-the-Rhine and one in Hamilton, received amounts ranging from $150,000 to $250,000. While small in scope, the projects will save numerous historic structures from demolition, while also creating dozens of residential units and commercial space. The long-debated Freeport Row project, located at Liberty and Elm Streets, received a sizable $1,358,772 tax credit to help restore five historic structures as part of the overall $25 million development. Once complete, the project is expected to yield 110 apartments, 17,000 square feet of retail, and a total of 100,000 square feet of new construction on the vacant lots surrounding the historic structures. Just blocks north of Freeport Row, along the Cincinnati Bell Connector, is another project that took home the largest tax credit in Cincinnati. 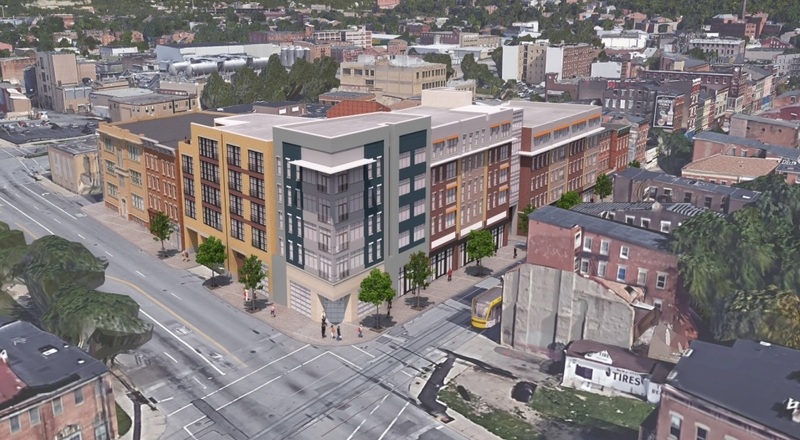 Market Square III was awarded with $1,690,000 in tax credits and push forward the latest phase of Model Group’s massive redevelopment efforts surrounding Findlay Market. Market Square III will renovate eight historic structures, most of which are currently vacant, to include street-level commercial space with 38 apartments in the upper floors.